We have a treat for you today Lovelies and it is a beautiful inspiration of the day today! 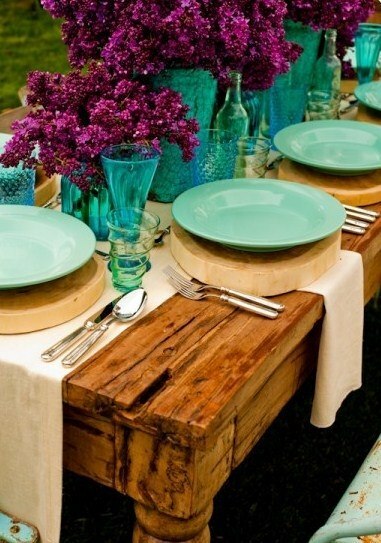 This lovely colorful watercolor tablescape is absolutely breathtaking. 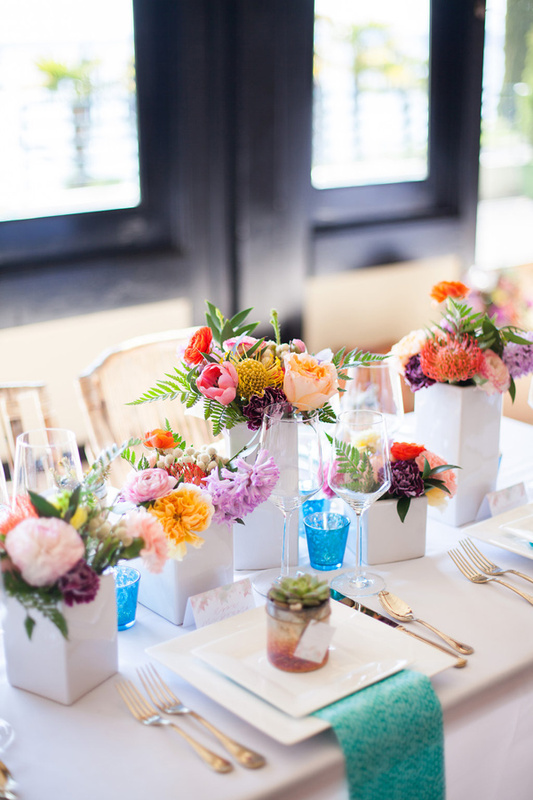 We love the geometric square vases filled with colorful blooms for a modern floral look. It is so refreshing and cheery and brings completely happiness to the table. We love the accents of the sea blue votive candles on the table too. Brings an amazing dimension to the table look. 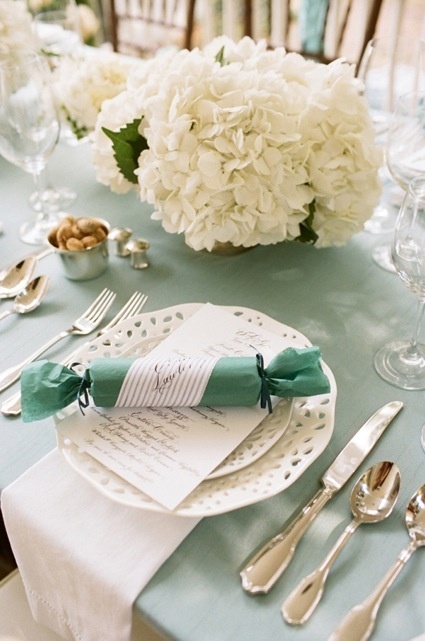 The gold silverware keeps this look chic and romantic and the soft teal napkin brings in even more lovely color to this table. Who wouldn’t love to have one of those succulent favors in a amazing ombre jar to take home too. Simply a lovely look perfect for a summer wedding or lovely get together.